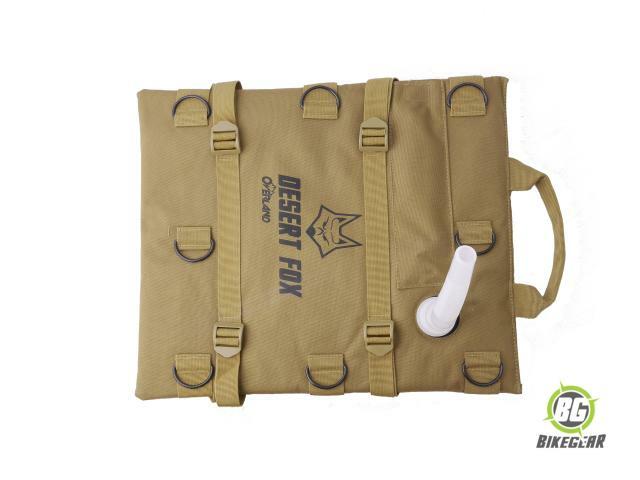 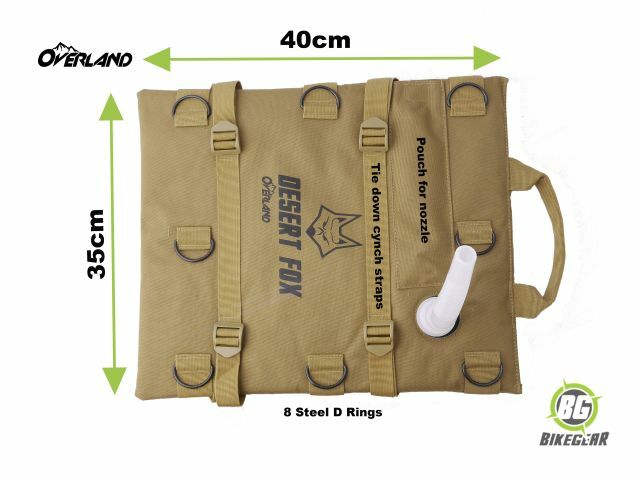 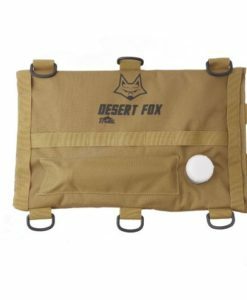 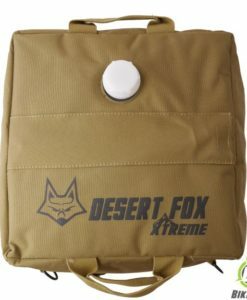 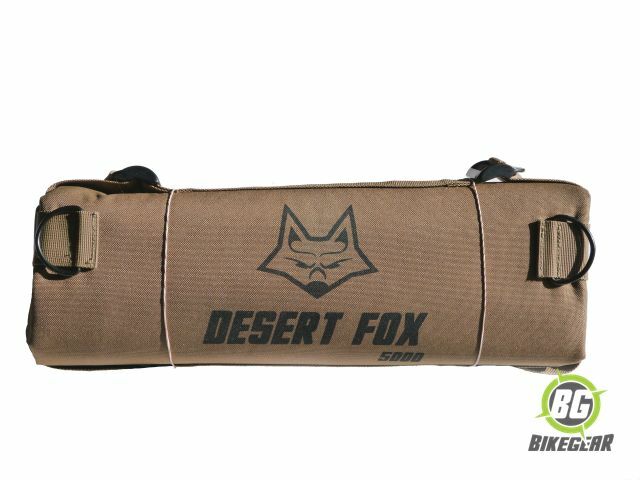 Designed for the military, the Desert Fox Overland 6 L Fuel Cell is the ideal medium to carry extra fuel. 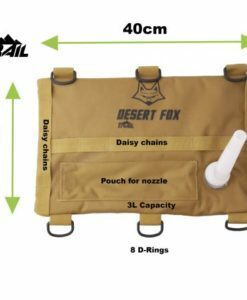 Strong enough to handle the worst conditions and flexible enough to be folded away, it presents an economic and lightweight (0.4 kg when empty) alternative to expensive additional hard tanks or cumbersome jerry cans. 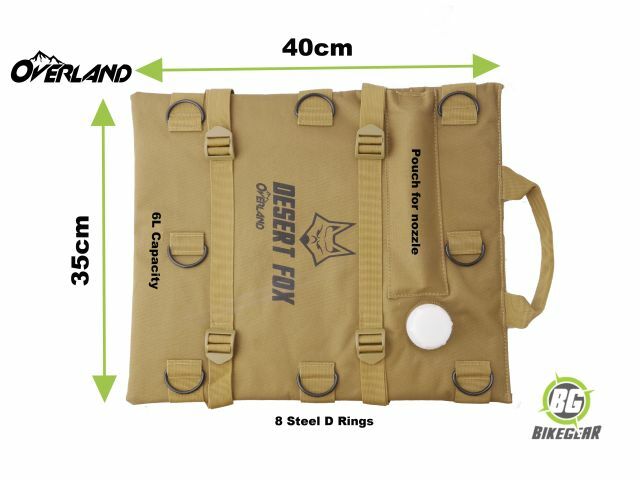 Strong, light weight and easy to store: simply fold or roll when emptied enabling storage in small confined areas, leaving you with more space when it is needed most. 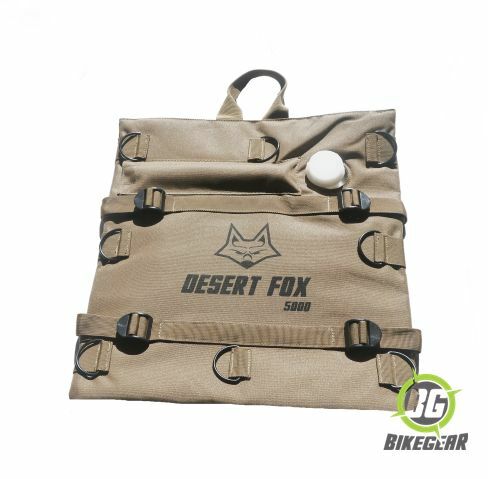 Supplied with a fuel spout that stores inside a dust-proof integrated pouch. 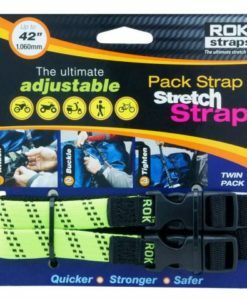 Includes tie down cynch straps for securing on top of panniers as well as six steel (not plastic)  D rings for alternative mounting options. 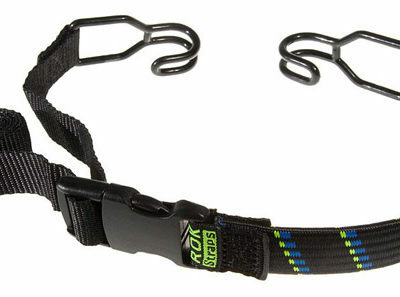 D rings are suitable for use with Rok Straps or Bungee cords. 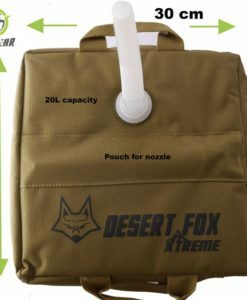 Also suitable for water, provided that the cell has not been used for fuel before. 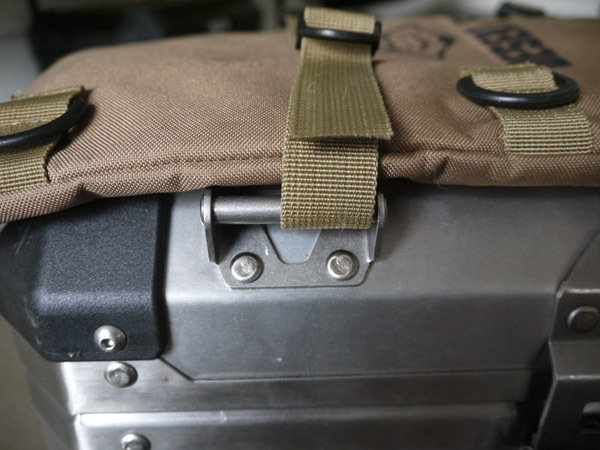 Read more on how this Fuel cell eases long distance fuel issues. 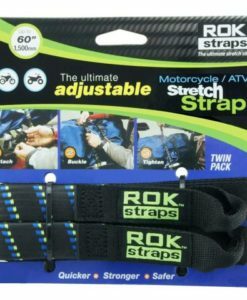 Sport ROK Straps differ from the Motorcycle ROK Straps as they have robust, plastic coated steel hooks on their ends as opposed to loops. 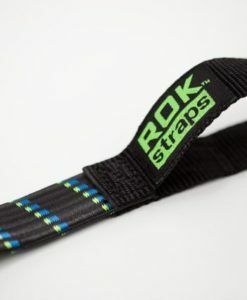 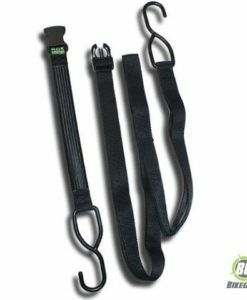 ROK Straps Large Heavy Duty Straps Adjustable have robust, plastic coated steel hooks on their ends.